Updated Friday March 1, 2019 by Ken Alberti. 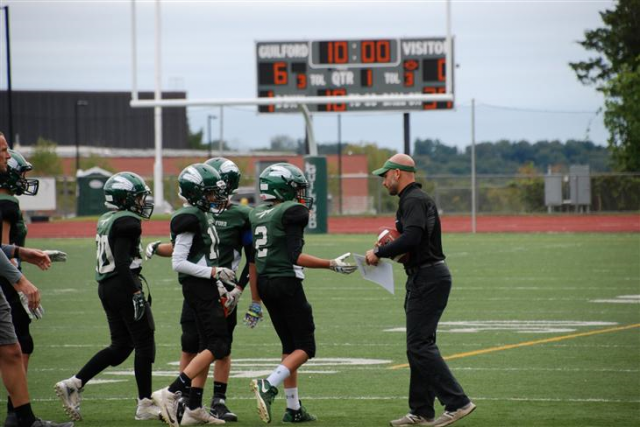 The Guilford Youth Football and Cheerleading Executive Board recently announced head coaches for all grade levels for the 2019 season. Five out of seven coaches return from last season to guide their respective teams while a new head coach will step up to guide the 4th grade squad and another will step up to lead the K-1 flag team. Thank you in advance to all the coaches for their time and dedication to serve in this important volunteer capacity. As the season approaches, coaches will communicate directly with their teams regarding practice and game schedules as well as other team specific expectations and information. Summer training camp will begin on Monday, July 15th. The first official day of the season is Monday, July 29th. If you have any questions about a specific team or age group, please contact the appropriate coach using the emails listed above. Congratulations to all the head coaches. Good luck this season. Go Indians!